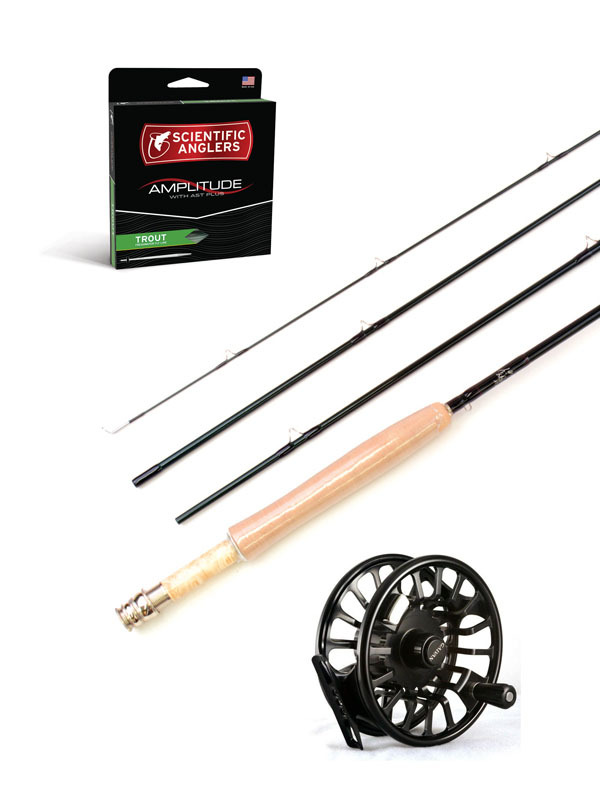 Each of these outfits have been carefully constructed to meet the needs of the river angler. While some of the fly rods have a fast action and some are more traditional, they all have the length necessary for efficient line management. Some outfits are tailored for the dry fly aficionado and some are a better fit for slinging big streamers and indicator rigs. There are also some outfits that do it all equally well. Let us assist you in finding the perfect fly rod outfit for your next trip! The 9 ft 5 wt Winston Air matches wonderfully with the Galvan Torque to provide one of the finest, high end setups for big trout waters. Perfect action for tossing big hoppers from the bow of the boat, nymphing, dry-droppers and the occasional streamers. 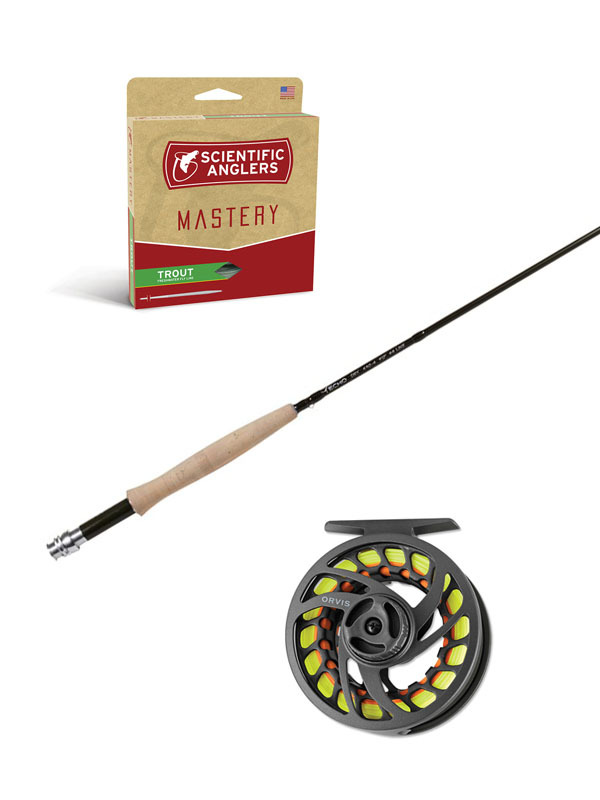 The Scott Radian is a fast rod with a softer tip that provides great feel. 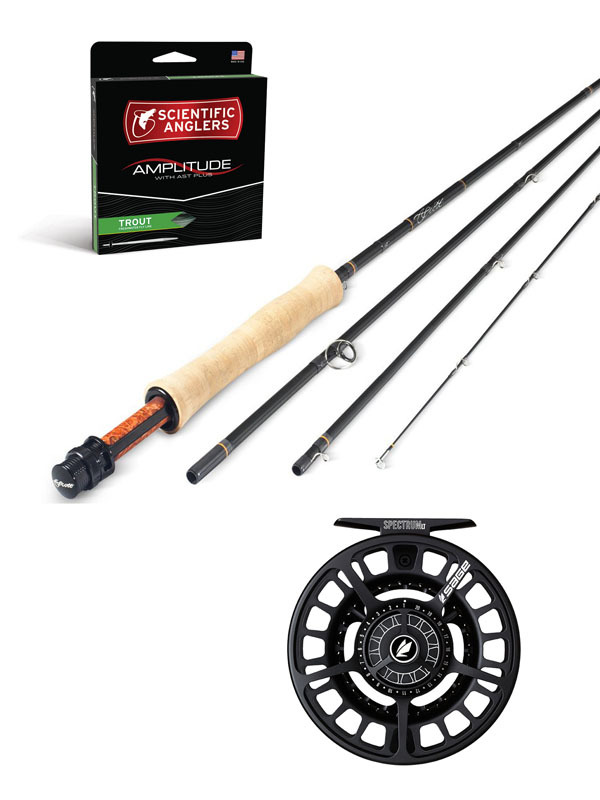 It pairs excellent with the Sage Spectrum LT to provide a light weight faster-action rod that’ll cut through the wind and deliver that big dry to those hungry cutthroats. Great fast action for fishing big hoppers and tossing streamers while on the boat. More aggressive casting stroke. Use a more open loop cast for fishing double rigs. 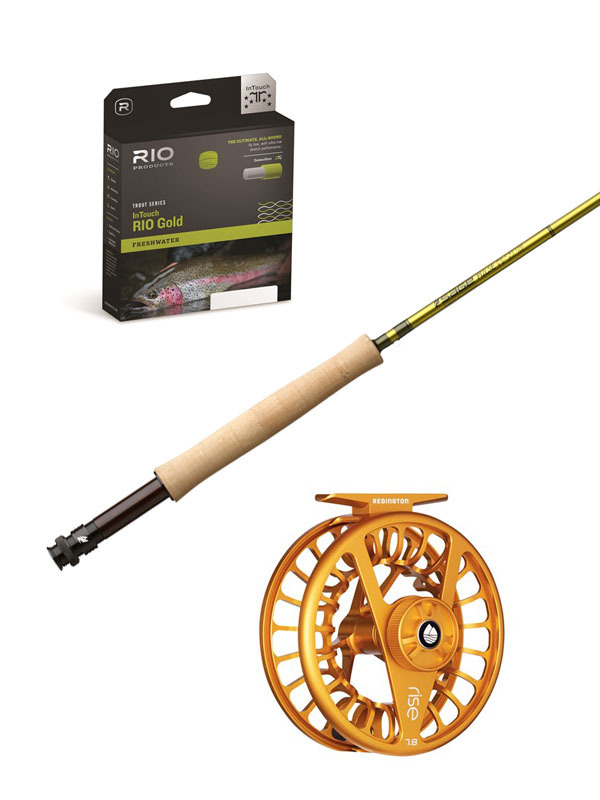 The Orvis H3F paired with the Ross Reels Evolution is your key to dry fly and dry-dropper bliss. Slightly slower action than the H3D, this rod will keep your loops slightly more open for delivering those dry-dropper rigs and smaller dries more delicately. The Sage Pulse and Redington Rise pair nicely and will cast just about any setup proficiently. Slightly slower than the Orvis Recon, it will provide more open loops to deliver those dry-dropper and double nymph rigs as well as big hoppers. Stiffer than the Sage Pulse, the Kairos is a rod built to toss big bugs like large hoppers and streamers (for a 5 weight of course.) Matched up with the Galvan rush, and you have an entirely American made set-up at a very reasonable price! 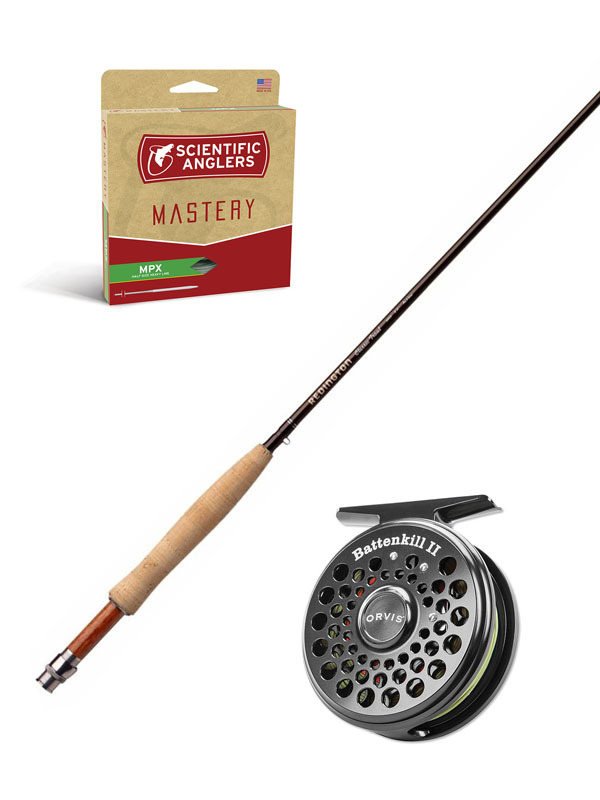 Get into the sport of fly fishing, or grab a backup outfit at an unbeatable price! We always offer our outfits with quality fly lines so that you can get the most of your experience! A truly light in hand rod with nice feel for the price. Most of the time the more inexpensive rods tend to get heavy at longer lengths, but this rod still stays quite light in hand. 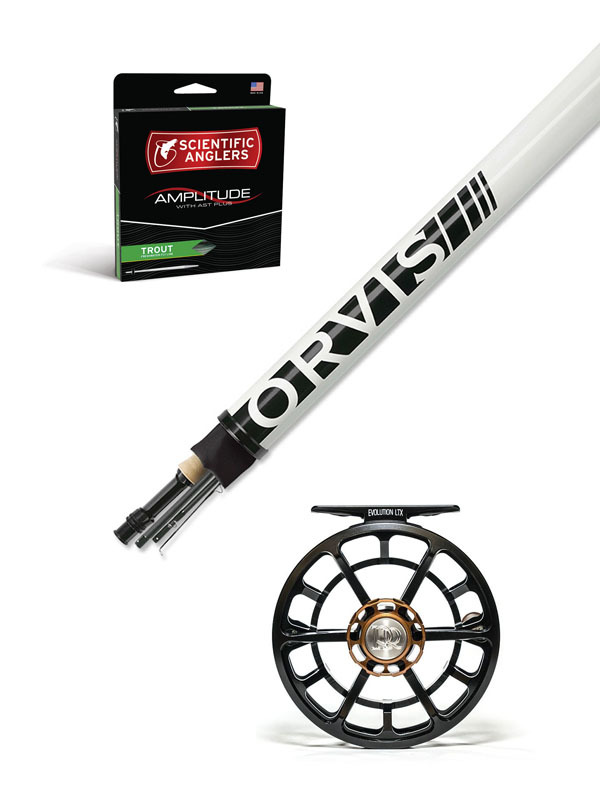 Perfect for a dry fly purist or dry-dropper setups with the occasional streamer. 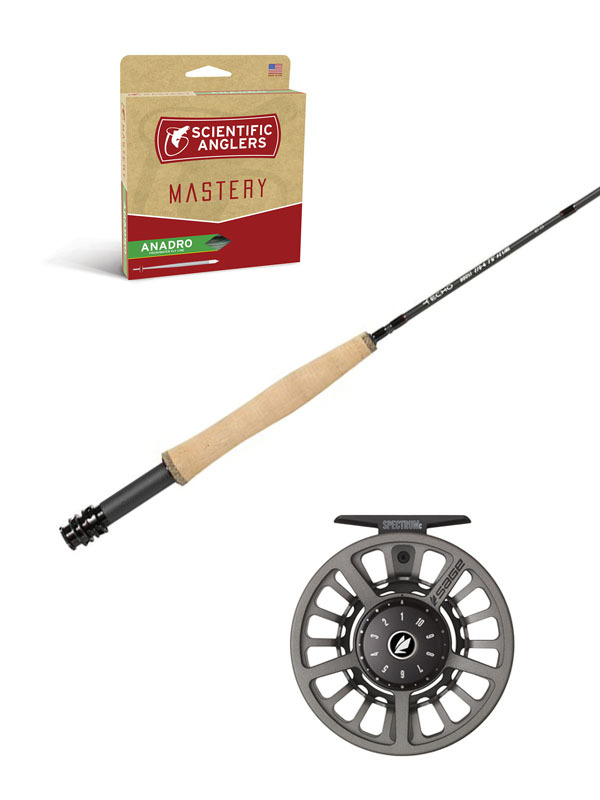 The Classic Trout is a heavier rod than the Echo Dry, but with a deeper bend into the rod, you will be able to roll cast with more proficiency. Loops will be slightly more open enabling you to toss dry-dropper and double nymph rigs with less tangling. This is your budget friendly streamer set-up. 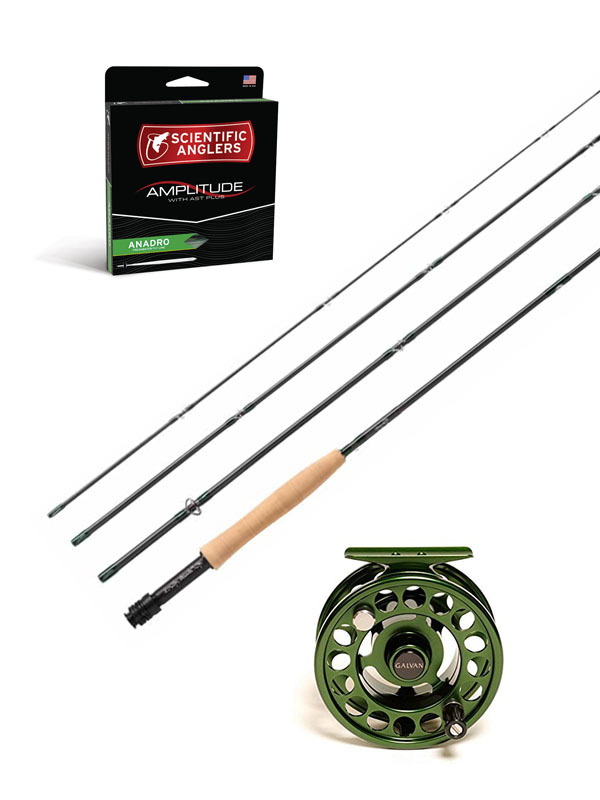 Great looking rod, Echo lifetime warranty, decently light in hand and powerful. Paired up with the Spectrum C, and you have yourself a nice fast action setup for an unbeatable price! Great budget rod or back-up rod for trophy hunting meat-chucker.